If you’re passionate about life, music, the way forward or you’ve a burning desire to create something universal, great results will come and it don’t matter if it’s hot or not. It’s all about the passion to create something that has impact and longevity. It gives me great pleasure to introduce a band that’s all of the above and more ‘The Graphite Set’ are creating a buzz about their debut EP set for release at the beginning of June titled ‘These Streets’ available as a download (2nd) and a limited 12″ vinyl (3rd) Also free* physical CD if you book in advance for their EP launch night. Band Members :: Lily Buchanan (Vocals & Guitar) Scott Skinner (Drums) Duncan Brown (Guitar) and Grundy le Zimbra (Bass) Lily grew up in East Lothian, Scotland, now based in London. She has painted all her life and studied illustration at Central St Martins, hence the name. In addition to creating and directing all of The Graphite Set’s stunning visual representation, Lily writes the songs, sings and plays rhythm guitar. She is now backed by Duncan Brown (guitar), Grundy Le Zimbra (bass) and Scott Skinner (drums). 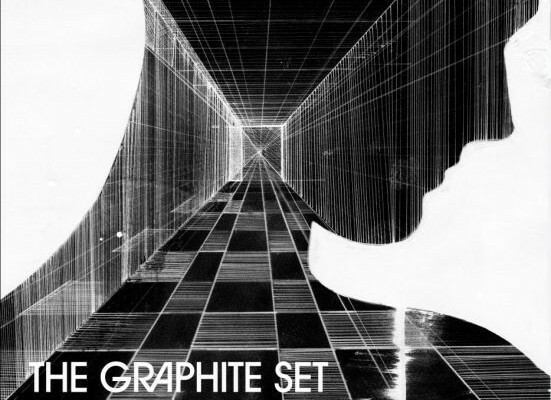 Now, because I write these post don’t mean I just say things for the sake of it, I say it because I mean it and ‘The Graphite Set’ are no exception. I’ve just listened to the EP in its entirety and I have to say my ears are pleased. You sure this is a Debut EP? Starting with fast paced intro you get smoothly lead into beautiful calming melodic vocals and lovely guitar strings carrying you through the dark storytelling track ‘These Streets‘. Also on the EP is ‘Pick Me Up‘ do you know what, it does exactly that. My personal fave is the stunning ‘In Your Eyes‘ I actually got a little lost in the lyrics “in your eyes I see no lies, in your eyes I’ve seen your first taste of love” it’s truly magical and cleverly written and complimented with beautiful arrangements. It’s so exciting to see fresh musicians such as ‘The Graphite Set’ creating meaningful and quality music that actually speaks a universal language and not getting lost in the industry trying to be one-hit wonders. You can tell a lot of good old-fashioned hard work has gone into producing ‘These Streets’ EP. You’re in for a treat. I’m certain it won’t be the last time you hear of this extremely amazing diverse band. On 3rd June 2013 Thumbscrew Music presents ‘These Streets’, the debut EP by Lily Buchanan AKA ‘The Graphite Set’ with guest guitar from Katherine Blamire of the Smoke Fairies. The EP was recorded at Ash Gardner’s House of Strange studio in Limehouse, London. Ash and Ed Seed (who’ll be playing guitar in La Roux’s touring band) co-produced it, with Ed playing drums, bass and other instruments. The guitars came courtesy of Katherine Blamire and Duncan Brown who laid-down parts featured throughout the EP. This entry was posted in Introducing and tagged Katherine Blamire, Lily Buchanan, The Graphite Set. Bookmark the permalink.